This was an excellent episode to a movie I’m so-so on. I didn’t see this one until much later in life…around college, I think. I thought it was okay. Its possible this is my first Kenneth Branagh movie. There were some things in Blake’s Mary Shelly information that caught my ear. This past summer I was watching The Frankenstein Chronicles on Netflix. 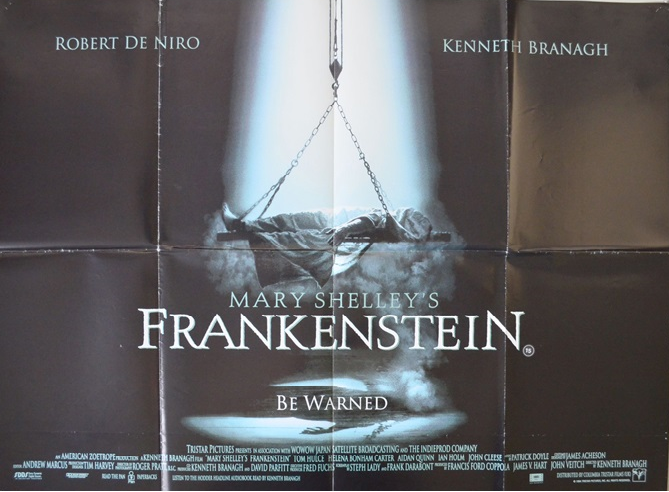 Sean Bean plays an investigator in Victorian England who looks into a body that washed up ashore that seems to be stitched together and based on Mary Shelly’s works. Shelly actually shows up in a few episodes, there’s scenes that deal with Galvanism and how it could reanimate the dead, and even a character in the second season named Mr. Dipple. It’s surprisingly good. Love the pictures of the model kit, by the way!